This module enables you to drive recommendations based on a key phrase. For example, if you have a shop featuring apple products, you can get recommendations on what other apple products to import. Also, on keyword click, it auto-searches for those keywords and sets them for import. The module is already Active, you can go ahead and use it! It’s very easy to use this module, you simply select on what affiliate program to search for recommendations, you can setup a single department or multiple, add the keyword / phrase and click Search! 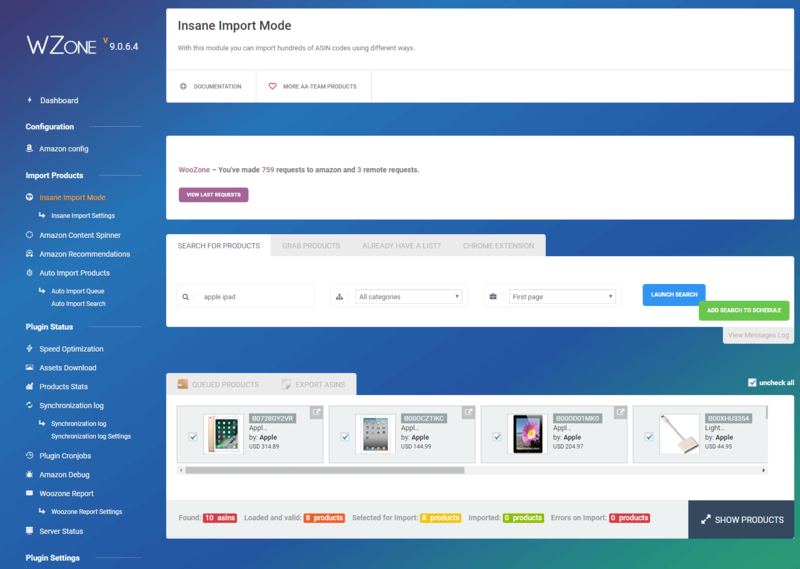 After that, when you click on a keyword / phrase, a new tab will automatically open, with a series of products that were recommended for you, setup for import. 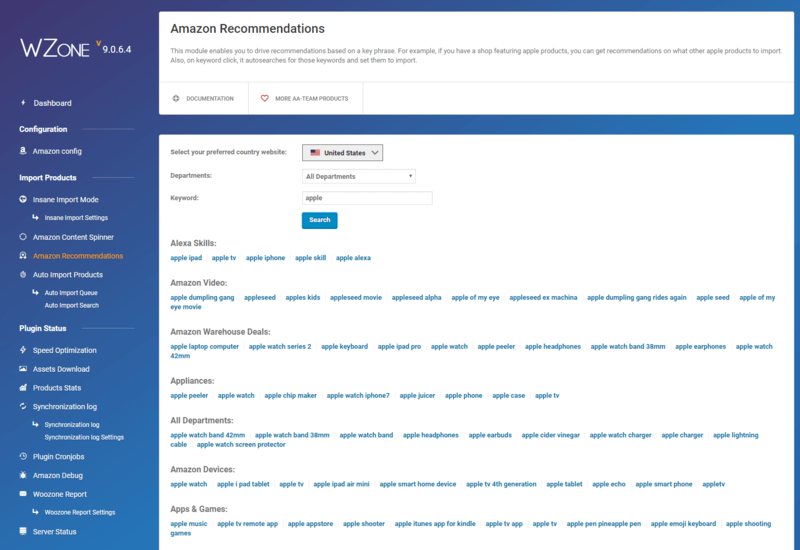 If you are an affiliate for multiple amazon associates countries, for import you must setup in Amazon Config the Import Location as the one you setup in the Amazon Recommendation module on Selected preferred country website.